A THUGPro update has been released today with 2 new levels, a couple of imported animations, and some general fixes. You can view the changelog in it’s entirety at the forum link below. This is going to be a great update! THPS3 Levels Here We Go!! @TonyHawkGames posted a new video showcasing THPS5’s Create-a-Park this past Wednesday, and it may be the best thing we’ve learned about the game thus far. When you see this video you’ll notice that some objects are actually floating in mid-air. After that, we learn that you can even place an object directly on top of another object. That term is known as stacking, and we haven’t seen it done in a game since Neversoft was still developing. Even more astonishing is that you won’t have to perform tedious steps to get these tasks done. Years ago Created Parks had their own glitches that players did to make their creations more extravagant. One would have to go out of their way to float or stack objects. But that ends in THPS5 as Robomodo has made this process native to their CAP editor. That’s a pretty big deal. Everything up until now involving the Created Park in THPS5 has been underwhelming, no matter how their marketing team @TonyHawkGames tries to spin things. Everything had either been done before, like “swap instantly between the editor and your skater to test what you’re building”,	and “Grab it, twist it, move it atound, or replace it. Only in the new CaP”. These were old, well known functions that you would expect a CAP editor to have. But this is new. Even the guys who lived in the lived in the world of CAPS, that could create fortresses out of 2ft rails and tombstones pieces will be yearning to see the potential of this. It’s certainly the best news I have heard about THPS5 at this point, with 10 days until release. If the gameplay mechanics allow players to fully take advantage of floating and stacking objects, it might bring out some veteran players while actually keeping some new ones. Finally we are shown something that could indicate a possible THPS5 community. Small THUGPro Update: Includes Two Levels. 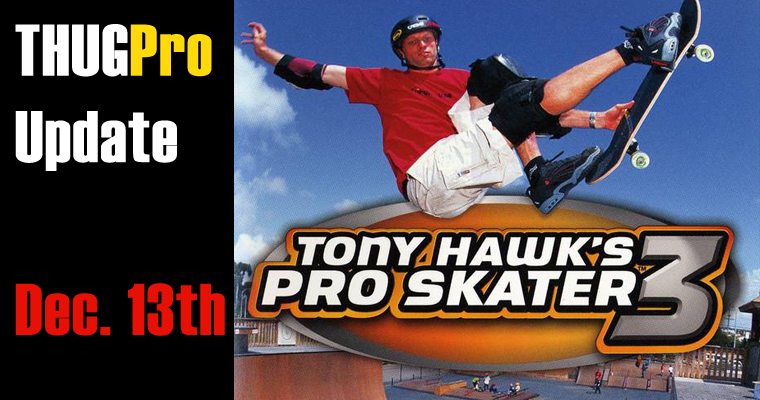 Tuesday, August 4th an update will be made available allowing users to download the levels Kyoto from THAW, and the Secret level Warehouse featured in Tony Hawk’s Pro Skater 3. 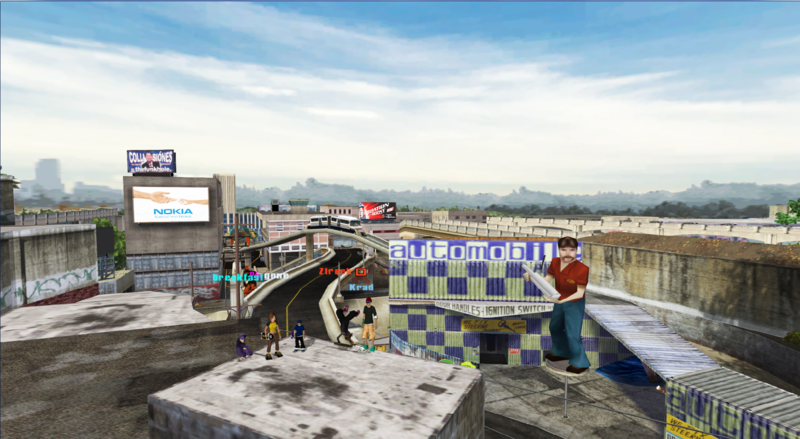 The rest of the THPS3 levels are being worked on, and you can expect them to be in an update soon. Here is the latest trailer for THPS5. It seems they decided to make this one look more theatrical. I think we can assume that this is a reaction to complaints about graphics quality by almost every gaming website/potential consumer.